Rescuing cats was a dream I had long before I established my own non-profit cat rescue organization, RESQCATS, Inc. in 1997. As far back as I can remember, I had a vision of making a difference in the lives of cats and their human companions. 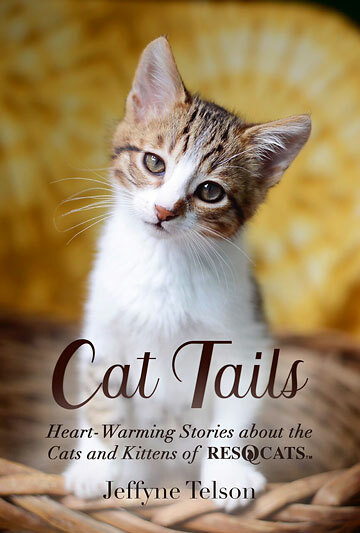 Cat Tails: Heart-Warming Stories about the Cats and Kittens of RESQCATS is a book that embodies that vision…a dream that became my passion and ultimately the reality of my life’s work…caring for stray and abandoned cats and kittens. I n the beginning I wrote stories for the RESQCATS newsletter as a way of raising funds for the organization. But I discovered that writing about the cats and kittens was a creative way to share my feelings about rescue and its many challenges. I began to realize the valuable lessons that the animals taught me about life. I also discovered that writing about the losses of those that could not be saved, as well as the grief that followed the loss of my personal animals, was a path to healing. Putting pen to paper was a safe, less vulnerable way for me to express my feelings. Then I started to share my views on topics that pertained to my experiences with the animals and people. I wrote to educate others about all that it takes to get many of the kitties healthy, including expensive veterinary care and the emotional ups and downs that can occur before sending that nice, healthy, fluffy little kitten home with a qualified adopter. Encouraged by a friend to tell my story, I was inspired to share the lessons as my way of making a difference in the world. But the book is also a collection of stories about myself…my life and my vision as told through the realities of caring for cats and kittens. Most of the stories in this book are truly heart-warming and uplifting. Some will draw on deep underlying emotions…while others are intensely touching and poignant. But every story contains a meaningful, inspirational message of how animals make a difference in people’s lives. 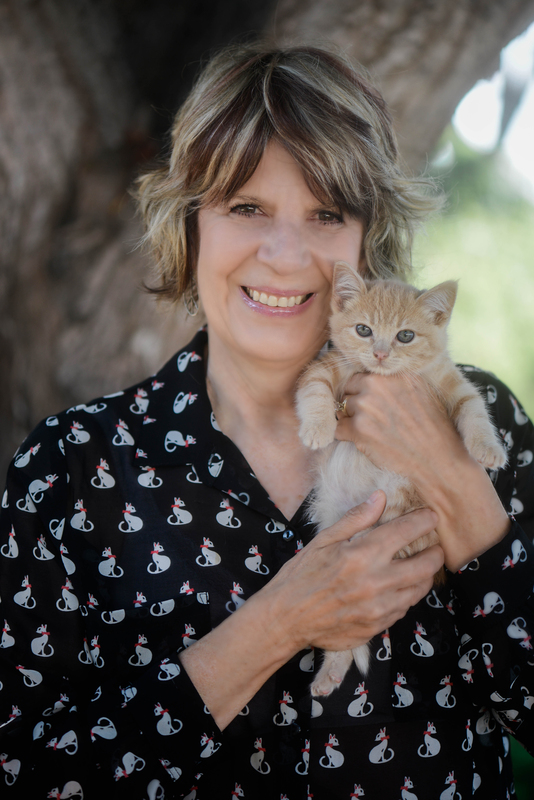 Cat Tails: Heart-Warming Stories about the Cats and Kittens of RESCATS is a book that began more than thirty years ago about a woman caring for abandoned cats. I started out with the aim to make a difference in the lives of cats and kittens and discovered along my journey that the impact on my life and the people that adopted the cat was equally profound. It is my hope that my book will encourage you to expand your compassion for animals and discover a greater appreciation for the important lessons they teach us. If I touch the heart of even a single reader, then I feel I have accomplished my goal. RESQCATS has found homes for over 2800 stray and abandoned cats since we began in 1997. 100% of the proceeds from the sale of my book goes directly towards the felines in our care.